Many programs want parts of themselves to run in the background all the time, even when they are not being used. 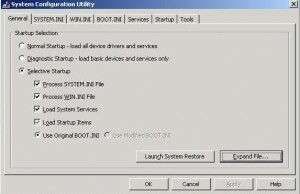 These unnecessary tasks consume system resources and can cause unexpected conflicts with other software that make your computer crash or behave strangely. 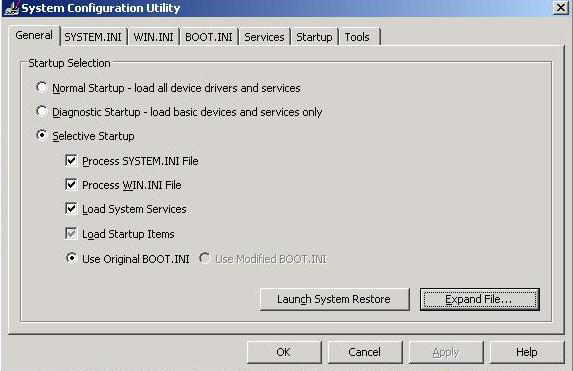 Programs that you deliberately set to load at Windows startup can also cause problems. Worst of all, malware likes to hide in the background and start with Windows. The General tab contains several options for broadly controlling what loads with Windows upon startup. You can start normally with everything loading; in Diagnostic mode with only the essentials loading; or load any combination of the “INI” files listed to see which one causes problems. Click on the Startup tab for a list of programs that load upon startup. You can enable or disable them all or individually. Startup programs are not the only things that start up with Windows. Click on the Services tab to see many services that run in background. If you are worried about disabling something that is critical to Windows’ operation, Google its name to see exactly what it does and whether it’s safe to remove it. On the Services tab window, you can check the “Hide All Microsoft Services” to eliminate the temptation to disable something that might be needed. The three tabs whose labels end in “INI” show the contents of system initialization files that are read by Windows before and during the startup process. On each tab, you can enable or disable individual items and change the order in which they are loaded. This can be helpful in diagnosing startup errors and fixing them by trial and error. The Tools tab has a fine assortment of tools you may need during any diagnosis and repair session. From here you can launch things like regedit with a single click instead of Start, Run, .